Last weekend the sudden need to eliminate a project in my life took hold, and the first thing I thought of was this Sawtooth quilt. I cut the fabric in January of 2013, intending to use fabric from my stash and to complete a simple project in between more complex ones. Despite the simplicity of it, I only managed to work on some half square triangles here and there without ever really committing myself to the project. It’s been sitting in strips for over a year. 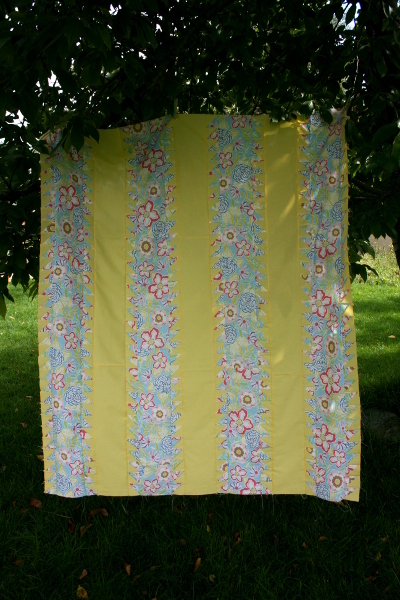 I got it out on Saturday thinking I had just 14 long seams to sew; it turned out I had sewn three strips – of 32 half square triangles – together wrong, so I ended up spending time with the seam ripper and the project took longer than I’d planned. But the quilt top is done! Looking at these photos, I realize the quilt doesn’t have as much contrast as it appears to have when I’m working with the fabrics up close. It won’t be a favorite quilt, but I’m sure it will be used and loved like all the others I make. 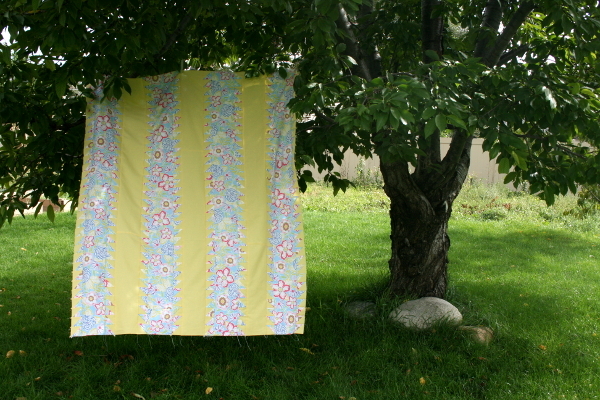 I like all the yellow and am really looking forward to quilting this one. I’m going to practice feathers! I also pieced the backing and binding with high hopes for finding time to quilt it very soon. 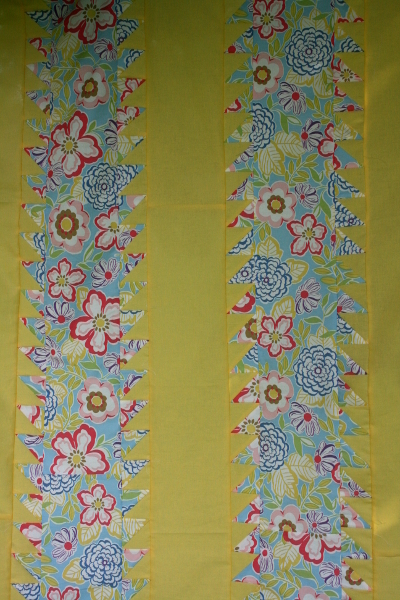 Early this year my sister Kristen challenged me to finish 14 quilts in 2014. It sounded reasonable at the time, but I didn’t anticipate how demanding life would be this year, and so far I’ve only finished 5 projects. I’d better work much faster if I’m going to reach my goal!